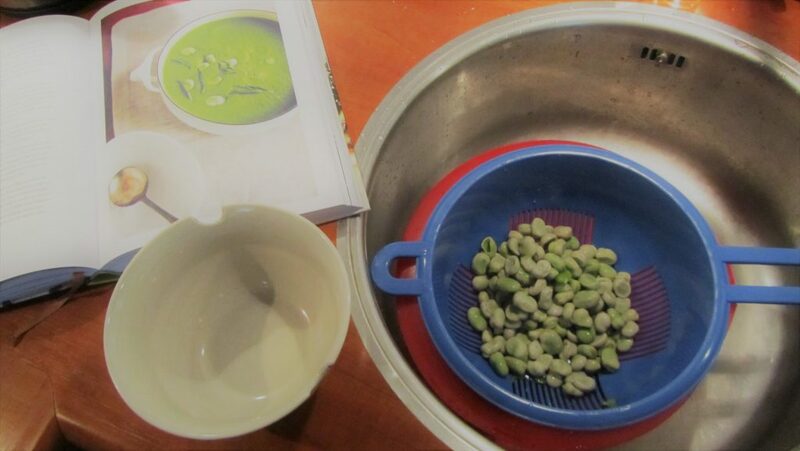 Anneke’s Cooking Blog: Time for Broad Beans! 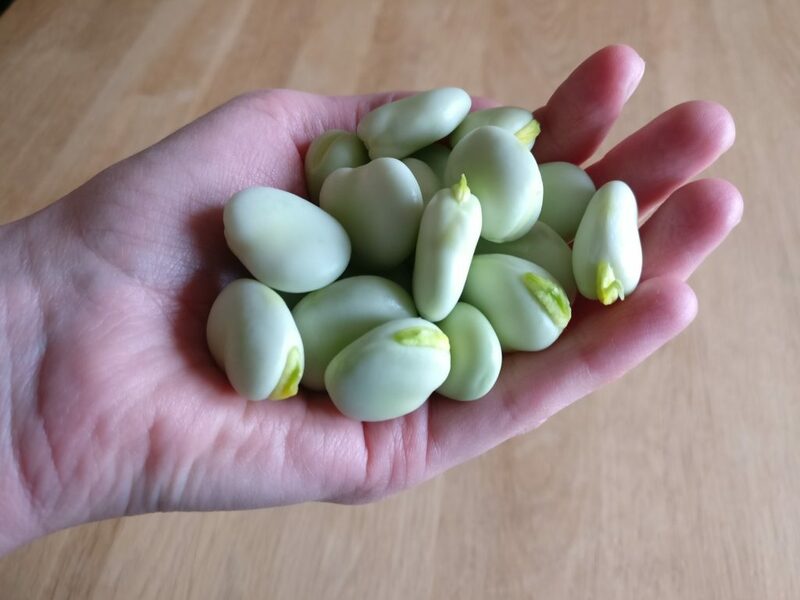 It is that time of year again… broad bean time! It makes me so happy! 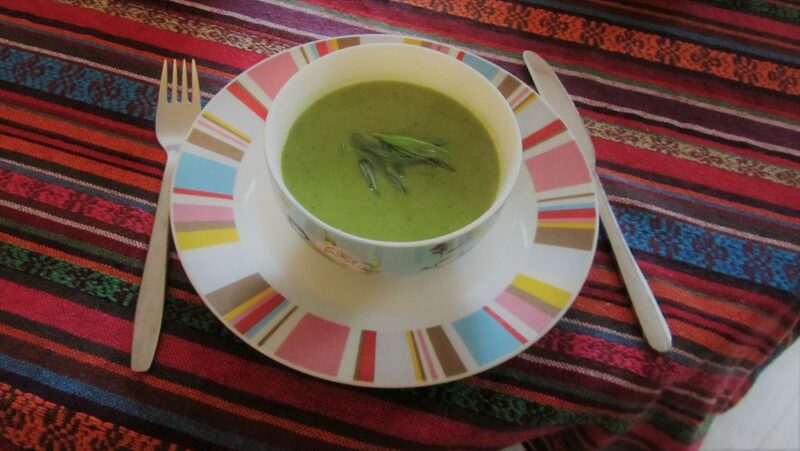 Last year around this time, on one of the hottest days of the year, I made a memorable soup with broad beans. Fresh tarragon gave it a very surprising taste. I didn’t know soup could taste like that! Fresh, salty, green… with a little ‘zing’ from lime zest and juice, complemented by the deep anise-like taste of terragon… so different from the flavours I was used to, but so utterly delicious! I used my fingers to clean my bowl, I really did. Yes, I even dare to admit that online, hoping it convinces you to give this recipe a try too. Soup is a tasty dish all year round, of course, but this recipe is very suitable to the summer season, you can even eat it cold, which is just as amazing. 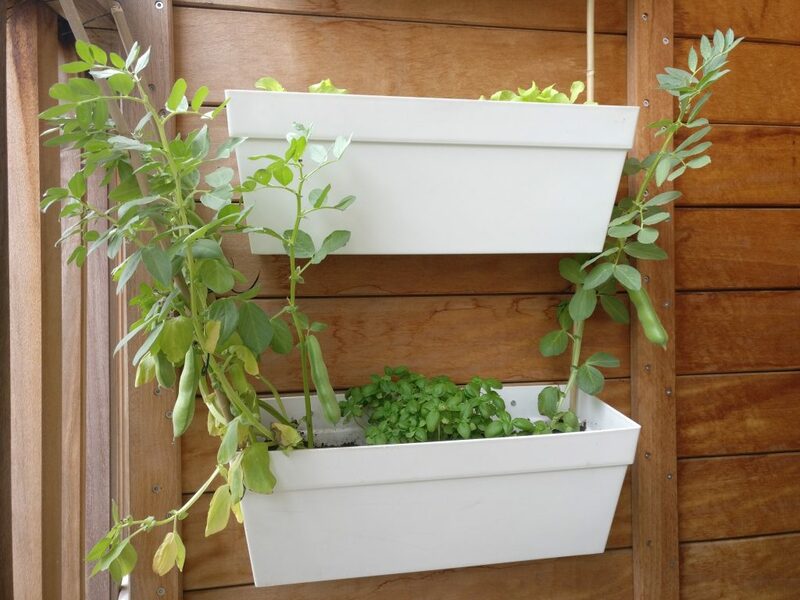 But to come back to the topic: broad beans! 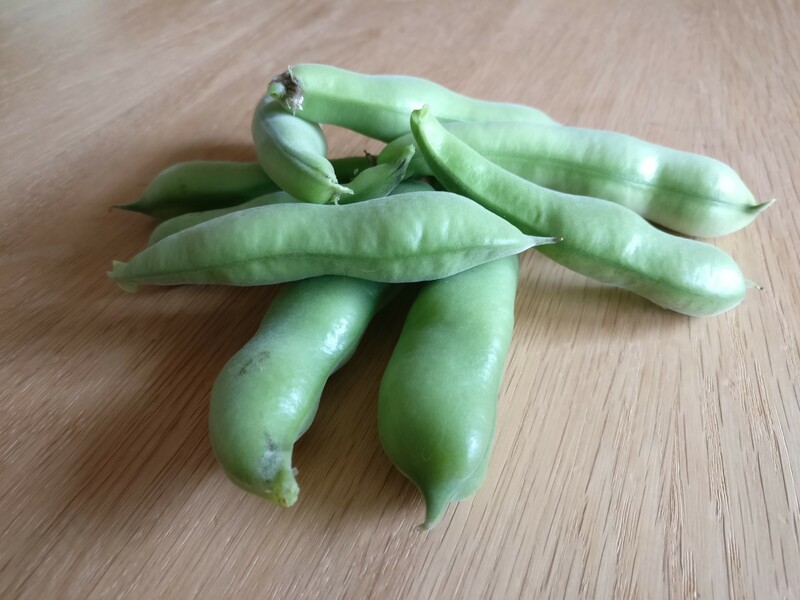 This year the start of the broad bean season was extra special to me, because for the first time, I grew them myself! On my balcony =) My plants produced too few to make the soup (see pictures below), so I ate them just slightly cooked, with some (vegan) butter and sage. Yet I really recommend trying the soup! Here’s the recipe. You can make it with frozen broad beans, or frozen garden peas, if you like. But at least really try to get your hands on some fresh tarragon: it is really worth it! 250 grams broad beans, shelled (frozen is fine, but fresh is always better) NB: if you don’t have or don’t want to use broad beans, you can also double the amount of garden peas! In a frying pan, heat the oil and add the chopped onions and a pinch of salt. Fry the onions for about 5 minutes, then add the garlic for another 1 to 2 minutes, until golden. After that, add the vegetable stock and the broad beans (if you like, you can keep a few separate to use as a garnish). Bring the stock to the boil and let the soup simmer for about 10 minutes until the beans are thoroughly tender. Then add the frozen garden peas and cook them along for another 2-3 minutes until they are fresh and green (please make sure you start counting the minutes, after the water is back to the boil). Mix the soup with a blender. Add half of the tarragon, the lemon juice and the lemon zest. Mix until you get a smooth, creamy soup. Keep adding the rest of the tarragon and some extra salt, until you like the taste (keep mixing in the tarragon!). Pour in bowls and garnish with some cooked broad beans and some fresh tarragon, as well as a few sprinkles of olive oil.